Divorce clients who come to us in December often seem a bit more distressed than they are the rest of the year. We get it. A divorce scores 73 on a 1-100 stress scale with 100 being the most stressful event in a lifetime. Add to this the holidays and expectations to give more, love more, and forgive more. They feel confused and wonder how to find it within themselves to do that in the face of a divorce during the holidays. If children are involved, this time period becomes even more difficult and emotional to navigate. 1. 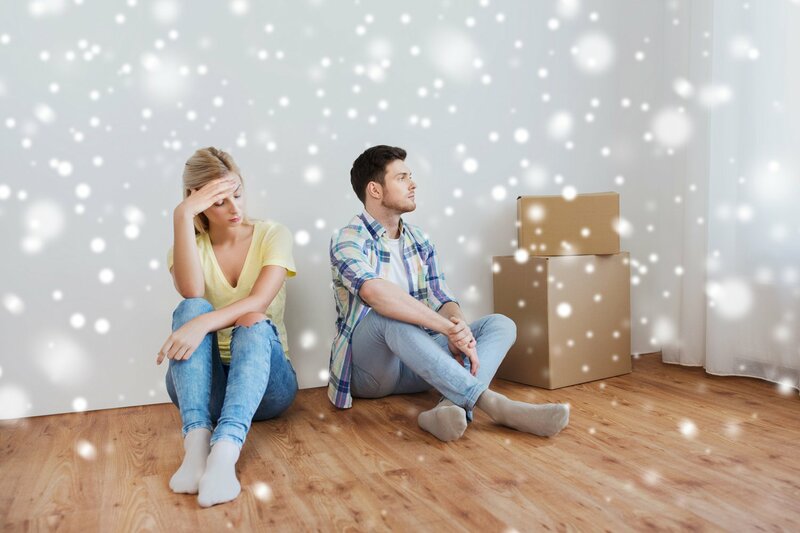 If you’re in the middle of a divorce during the holidays, you need a plan. The first thing you can do is to remember that our emotional state is attached to familiar actions and surroundings. Therefore, the first thing you should do to make the holidays easier and even enjoyable for you and your children is to change those actions and change those surroundings. 2. How about starting a new tradition? Do this on your own or with your children if you have them. It’s probably best for your emotional well-being to not continue with the traditions you followed with your spouse. Having your very own traditions will keep you focused on the positive and new rather than distressing over going through a divorce during the holidays. For the kids, it could be fun and distract them from what’s now different, namely, that, possibly for the first time in their lives, they are only with one parent at a time for this year’s holiday. Justin had always wanted to take his children ice-skating around the holidays, but his soon-to-be ex-wife didn’t like it at all, so they never went. He decided to now make it a holiday tradition to spend an afternoon at the ice skating rink with the kids and then take them out for hot chocolate after. It turned out to be a hit with them. It also gave everyone hope that the holidays could still be a happy time for them despite the divorce. 3. Are you single? Or are your children scheduled to be with your ex during this holiday season? Plan ahead to do something to help others when going through a divorce during the holidays. It’s a well-known fact that helping others lifts our own spirits. Volunteering your time to a shelter, for instance, would take your mind off your own suffering and warm your heart as you help others even less fortunate than you. Or find other single parents whose children will be with their other parent that day and celebrate together, doing something none of you usually does on that day. Karin reached out to two other friends whose children were going to be with their other parent for the last day of Hanukkah. She arranged ahead of time for them to visit residents of a nursing home who didn’t get visitors or whose families were out of state. They bought several low-cost gifts and wrapped them brightly and delivered them to these residents with good wishes, bringing tears of joy to the eyes of some. This made the women feel very happy inside and thankful for the happiness they still had in their own lives. They followed this up with a special dinner at a restaurant none of them had ever been to before. They vowed to do it again the next time their children were with their other parent for a holiday. 4. No matter what, make sure that your children feel loved by both parents during this time. Make sure they don’t feel pulled between you and made to feel guilty for being with one or the other parent on any given special day. If you are still working out the holiday visitation schedule, be sure that the children have ample time with each parent and vary it up, from year to year if the children have to travel some distance between you and your soon-to-be ex-spouse. If a certain holiday is very important to both you and your spouse, make it so that you both get the children for a portion of it, but be sure and do it in a way that is enjoyable for the children too. If you live far apart, it would most likely be best to agree to an alternate-year holiday visitation schedule. Having to fly or take a bus to get from one parent to another on an actual holiday to meet a visitation schedule would most likely make your child dread that holiday rather than look forward to it. 5. Lastly, but most importantly, do NOT become a recluse if you are going through a divorce during the holidays. Even if you’d rather pull a double shift at work, or stick your hand in fire, force yourself to go out and mingle with good friends or family (stay away from those who constantly bring up negative things about your ex or ask them to stop). Your spirits will lift from your new activities! We are social creatures and even when feeling low, we derive happiness and comfort from being around others.